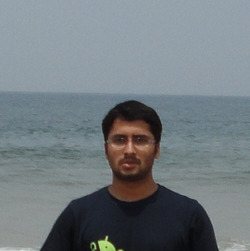 I'm a software engineer at Flipkart. I've built high performant scalable systems for E-commerce, Retail, Ads, Trading and other domains. I'm interested in functional languages like Scheme, Clojure, Scala, Haskell and use that learning to write elegant code. This talk will be about how we applied Typed functional programming and object-functional concepts inspired from languages like Scala, Haskell in building an Ads serving engine using Java 8 and made the stack extensible for multiple Ads serving usecases like App, Desktop, Exchange and ML model execution for CTR prediction, Guaranteed delivery etc. Defining interfaces like function types. Functions as first class objects to express behaviour.